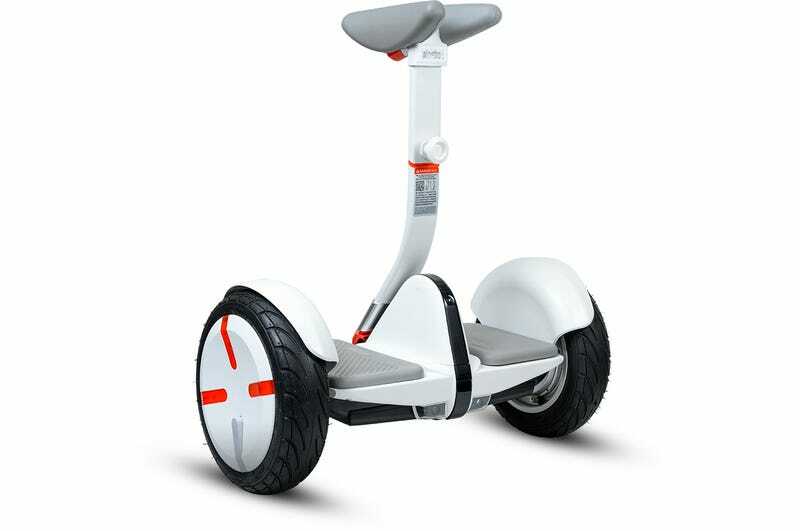 After suing several hoverboard makers over patent violations last year, Segway, which is now owned by Chinese company Ninebot, revealed its own self-balancing scooter in January at CES. The hope, of course, is that the brand name (and accompanying expertise) means the new personal transporter won’t explode while you’re riding it. Five months later, the Segway MiniPro is finally available for pre-order for 1,000 bucks. While nowhere near as popular as hoverboards were before the U.S. banned their import, the original Segway has been in use for over a decade now without making headlines for burning up. And the company promises its new MiniPro—which is something of a cross between a hoverboard and its full-sized self-balancing scooter—will be just as safe to ride. Aside from a smaller form factor, the 28-pound Segway MiniPro differentiates itself from the original, and other hoverboards, with a knee control bar that’s used to steer the scooter by simply leaning to the left or right. It also sports beefier 10.5-inch inflatable tires that let it better handle rough terrain at speeds of up to 10 miles per hour. It’s also the first hoverboard-like scooter to receive the Underwriters Laboratories’ 2272 electrical system safety certification, which is another assurance you’re not scooting around on a fire waiting to happen. You can pre-order the MiniPro on Amazon right now for $1,000, slightly cheaper than its standard $1,300 price tag, with delivery expected at the beginning of July.